For the fifth straight year, Washington ranks No. 1 in the Bicycle Friendly State rankings compiled by the League of American Bicyclists. Alaska dropped from No. 29 to No. 33 in this year’s rankings, which were released on May 22 as part of National Bike Month. Trailing Washington in the rankings were Minnesota, Massachusetts, Colorado, Oregon, Wisconsin, New Jersey, Maryland, Maine and Delaware, all states above the Mason-Dixon Line. The bottom five states were Montana at No. 46, Alabama, West Virginia, North Dakota and Arkansas at No. 50. Even though Washington ranked No. 1 for the fifth straight year, the Seattle Bike Blog wrote there are several improvements the state can make to be even friendlier to cyclists. CNN posted this article about the Bicycle Friendly State rankings. 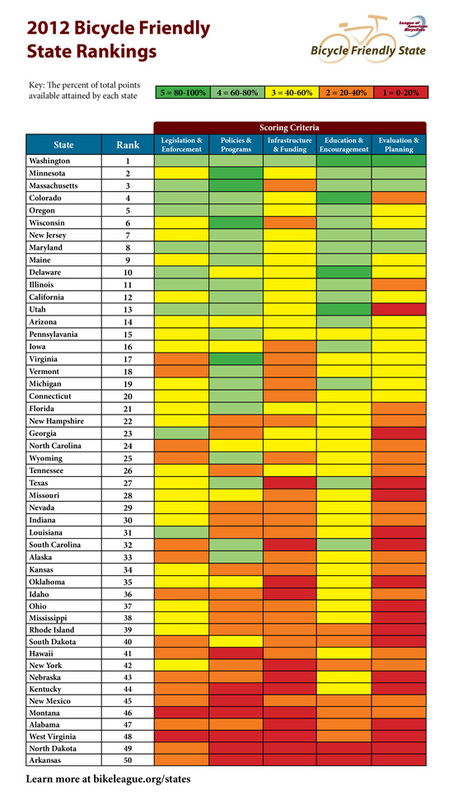 States were ranked using a 1-5 scale (1 is bad, 5 is good) in five categories — legislation and enforcement, policies and programs, infrastructure and funding, education and encouragement, and evaluation and planning. Alaska received a 4 in policies and programs, a 3 in education and encouragement, and a 2 in each of the other three categories. 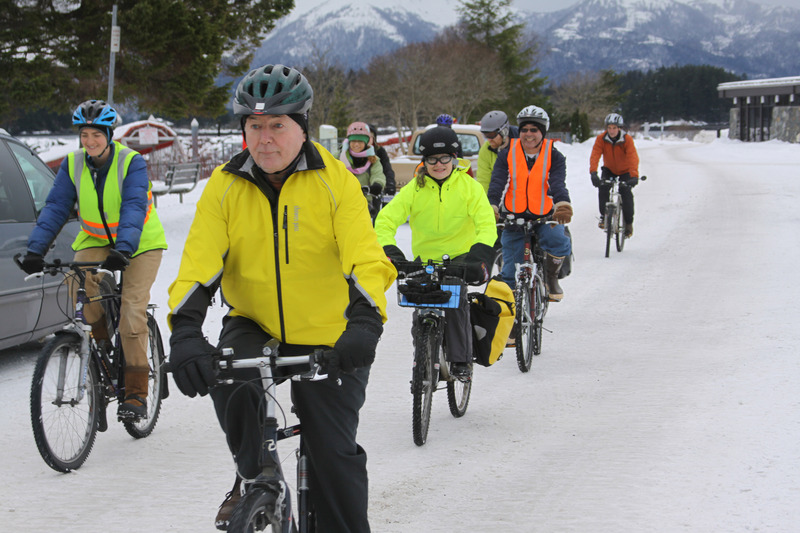 One of Alaska’s strengths was its bicycle commuter mode share is nearly double the national average (and it’s nearly 10 times the average in Sitka). The top tip for improvement was to adopt a vulnerable user law that includes a minimum safe passing distance and stricter consequences for violations by motor vehicle drivers. Alaska has made great strides to move up the rankings, where it ranked just 43rd in 2008 and a dismal 47th in 2009. Alaska moved up to 39th in 2010 and 29th in 2011. 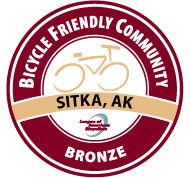 Since 2008, Alaska has added three Bicycle Friendly Communities — Sitka (2008, bronze, renewed in 2012, bronze), Anchorage (2009, bronze) and Juneau (2011, bronze). Alaska also has added nine Bicycle Friendly Businesses — Anchorage Native Tribal Health Consortium (2009, gold), Southcentral Foundation (2010, silver), Green Star Inc. (2009, bronze), Providence Alaska Medical Center (2010, bronze), REI-Anchorage (2011, bronze) and Alaska Pacific University (2011, honorable mention), SouthEast Alaska Regional Health Consortium-Sitka Campus (2011, bronze), CRW Engineering Group LLC (2012, silver) and Restoration Science and Engineering (2012, honorable mention). Alaska has no universities recognized by the Bicycle Friendly University program. EDITOR’S NOTE: In honor of National Bike To Work Week on May 14-18, we will be running a series of features of bike commuters who work at the Alaska Native Tribal Health Consortium, Southcentral Foundation and Alaska Native Medical Center in Anchorage and the SouthEast Alaska Regional Health Consortium in Sitka. Thank you to Laura Kotelman of Southcentral Foundation for supplying the Anchorage profiles (written by Janice Swier) and SEARHC for the Sitka profile (note, most profiles appeared previously in newsletters for the various organizations). Using his bike as a mode of transportation has been something Temte has been doing since he was young. When Temte was a child his mother would make him ride his bike to school every day. The activity became something Temte looked forward to and he has continued to use his bike as a mode of transportation in adulthood. “I like to enjoy a bike ride daily,” Temte says of commuting to work by bicycle. Temte admits that scheduling extra time to bike versus drive can be difficult at first, but starting off your day with fresh air and saving money on gas are both reasons that make the adjustment worth it. 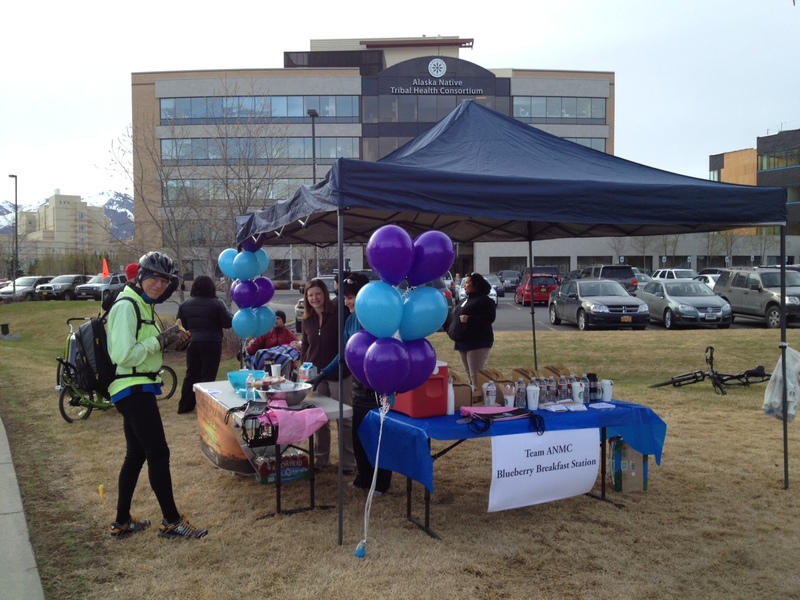 Temte has enjoyed Bike to Work events in the past and is volunteering this year with Team Alaska Native Medical Campus (Team ANMC) in planning many of their Bike to Work Week activities. “Bike to Work activities are totally a bonus. The Blueberry Breakfast and the Bike Bash should be fun, I’ll be there.” Temte said of some the events that will take place on ANMC this year during Bike to Work Week. 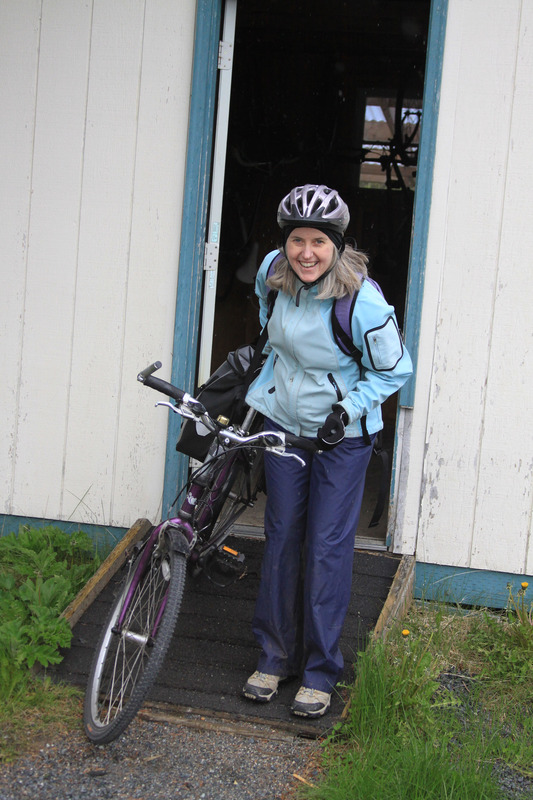 Lisa Sadleir-Hart has been commuting to work by bicycle off and on for 20-25 years, beginning shortly after she started working for the SouthEast Alaska Regional Health Consortium (SEARHC) in Sitka. But she didn’t become more consistent about riding her bike until about 2004. “My husband has consistently biked to work, and then when the Bike to Work Week was launched at SEARHC I started riding more,” Lisa said. Lisa is community nutrition department manager for SEARHC and the coordinator of SEARHC’s employee wellness program, so she knows all about the health benefits of riding. But she also enjoys some of the mental benefits. “I enjoy the natural beauty I encounter, and going fast on the downside of the bridge” (the O’Connell Bridge, which connects Japonski Island where SEARHC is located with downtown Sitka on Baranof Island), Lisa said. Lisa’s commute is about 12-20 minutes, and she rides about 2-3 times a week. When the weather is bad or she has to run errands, she will drive. But as a member of SEARHC’s Green Team, she likes to save energy by riding. Sitka is in a temperate rain forest, which means about 80-120 inches of rain a year. But Sitka’s mild climate means the winters have more rain than snow, which gives riders more of a chance to bike to work all year round. Biking started as just a recreational sport for Southcentral Foundation Clinical Exercise Specialist Andrew Cunningham, but as he used his bike for recreation he realized how easy it would be to use it as a form of transportation as well. Cunningham has now been riding to work for two years, trying to ride every day, regardless of weather conditions. “This winter threw some minus-20-degree (Fahrenheit) days at me, and I had to dress and prepare for that,” Cunningham acknowledges of one of the challenges he has faced with biking through the winter season. According to Cunningham planning ahead and being prepared for all conditions is the most difficult aspect of commuting by bike every day. Initially when he started commuting by bike, Cunningham had to take the time to figure out a reliable route and an alternate route, just in case. Cunningham admits, “Changing my routine at first was a challenge,” but Cunningham now bikes 7-10 miles, depending on the route, to work nearly every day. Cunningham has participated in the last two Bike to Work weeks and will be participating in events again this year by both riding his bike and volunteering at an event. 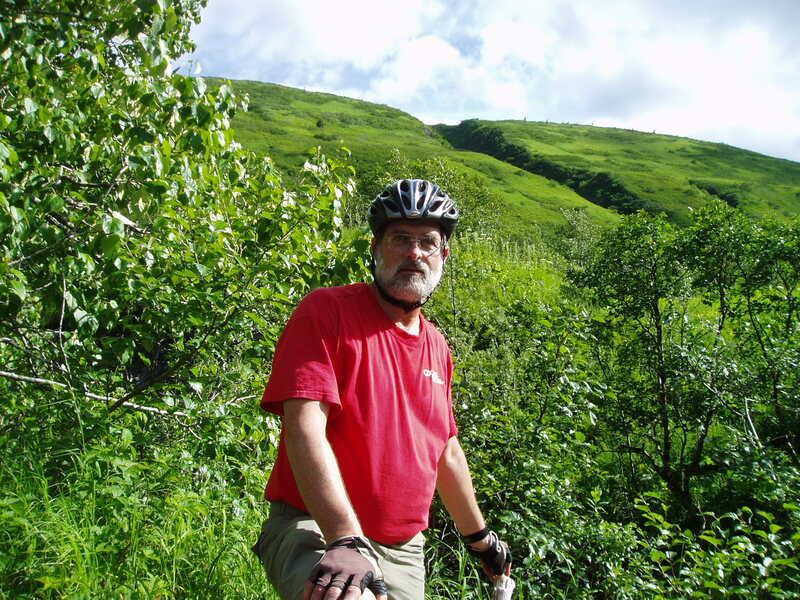 Richard Hall, Director of Statewide Health Information Management Service for Alaska Native Tribal Health Consortium, first started using his bike to commute to work in 1975 and didn’t stop when he moved to Anchorage in 1978. “It [biking to work] is fun, good exercise and cheap,” Hall says of his three mile bike commutes. Back when the Alaska IHS (Indian Health Services) Area Office was downtown, Hall would have to ride in some busy traffic lanes in order to get to work. Hall much prefers the trails and often carries his camera while he bikes as he likes to occasionally stop and take pictures of wildlife or pretty vegetation. EDITOR’S NOTE: In honor of National Bike To Work Week on May 14-18, we will be running a series of features of bike commuters who work at the Alaska Native Tribal Health Consortium, Southcentral Foundation and Alaska Native Medical Center in Anchorage and the SouthEast Alaska Regional Health Consortium in Sitka. Thank you to Laura Kotelman of Southcentral Foundation for supplying the Anchorage profiles (written by Janice Swier) and SEARHC for the Sitka profile (note, most of the profiles appeared previously in newsletters for the various organizations). One could argue that Christopher Campbell could be the poster child for Bike to Work. 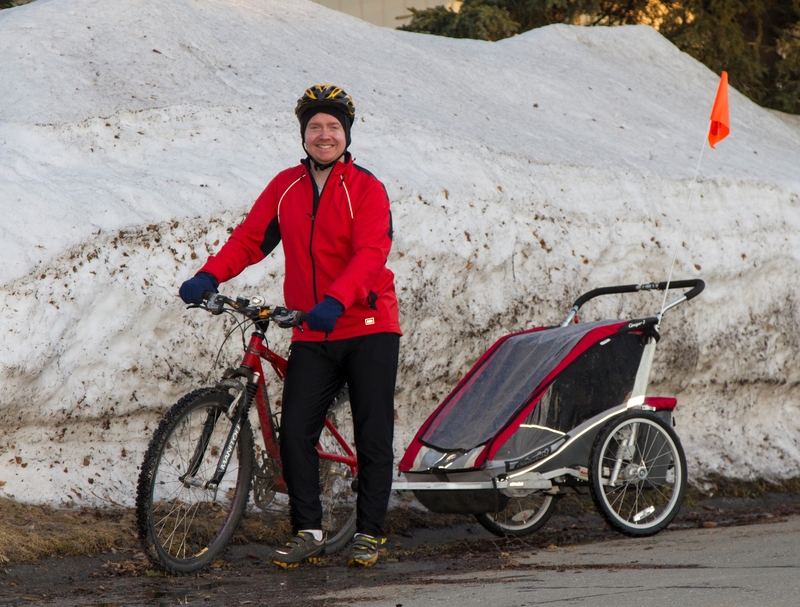 Pulling his 1 1/2-year-old son behind him in the Chariot; Campbell commutes to work by biking, skiing, snowshoeing, or jogging year-round. 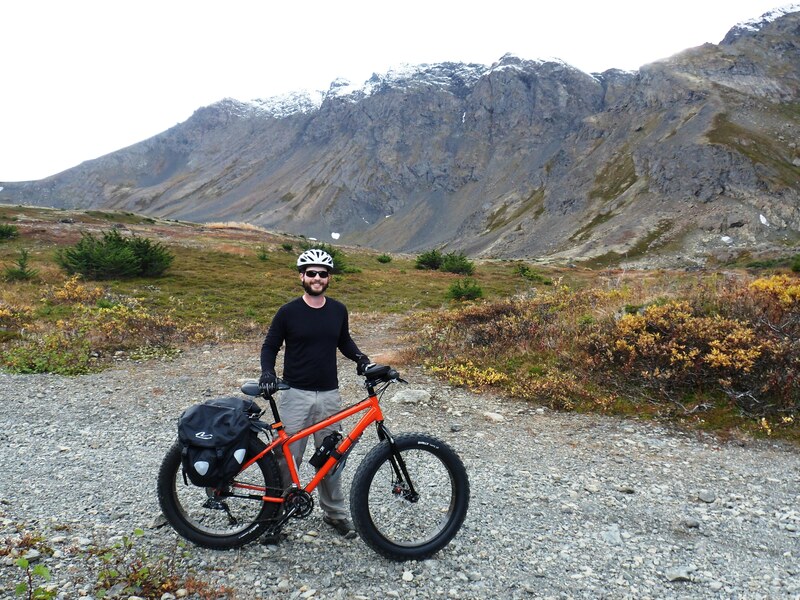 Campbell, a provider at Southcentral Foundation’s Anchorage Native Primary Care Center, started commuting by bike for a few reasons: to be more physically active and to both save money and add fewer pollutants into the air by not driving. For those commuting during the winter, Campbell encourages, “You don’t need any special equipment besides studded tires, good snow boots and a decent light.” Campbell uses his ski helmet rather than a regular bike helmet during the winter, since it is warmer, and he purchased a good head lamp. Campbell contends that, “the most challenging part [of biking in the winter] was trying to dress with the right layers for the temperature.” Campbell admits he doesn’t like being cold, so when he first started biking in the winter he would dress too warmly for the commute. He learned to dress in one less layer than he thought he’d need since he would quickly warm up as he biked. With all the snow Anchorage got last winter, Campbell had some additional challenges as some days there was just too much snow to bike. If Campbell knew in advance there was going to be a lot of snow he would ski or snowshoe with his son rather than bike.